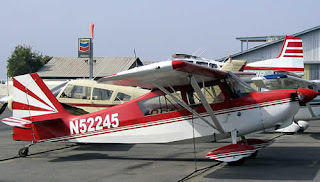 The aircraft that world aviation record holder Steve Fossett was flying when he went missing is a Citabria Super Decathlon, these planes entered production back in 1970 in the United States and was used for many roles these include personal use, flight training and can also be used for aerobatic use. The plane has a range of 563 miles. It's either a Citabria, or a Super Decathlon. Not both. You can't drive a Mustang Taurus. It's one or the other. Both of these aircraft are made by American Champion Aircraft. Beautiful aircraft.